It's sad, but it's true. When we talk about "bad mothers" we almost always limit our discussion, intentionally or not, to talking about mothers from lower income families, single mothers, mothers of color, and other women whose motherhood is deeply impacted by the difficulty of their ability to provide for their children. Most of the "bad mommies" we've seen depicted on television fit this trend too, being disproportionately women of color with low incomes and frequently without a parenting partner. It would be really easy to look at the media, especially television, and come to the conclusion that the only real kind of bad mother is a poor one. It's arguably even more rare, though, to see a depiction or discussion of a woman who is a bad mother but not necessarily a bad person. A woman who, for all of her faults and genuine failures as a parent, is still a human being with wants and needs. In other words, sometimes women can be bad at being mothers but halfway decent at being people. We accept this readily when talking about fathers, but when it comes to mothers, it's like we all freeze up. A bad mother must be a bad person. End of story. The truth is that reality is much more complex and difficult to understand than we like to admit. It's so much easier to frame little bubbles of belief around ourselves and only pay attention to the narratives that affirm our understanding of the world. Motherhood is disproportionately valued in our society, which leads to an understanding that women are evaluated on the basis of whether or not we are mothers. If we are mothers, then we seem to think that our value is determined by whether or not we're good at it. We are the products of our uteruses, and apparently nothing else. But this misses the vast complexity of human experience, and, clearly, devalues women into walking incubators. And when all we see are narratives that enforce this, narratives that equivalence good motherhood with valid personhood, it's hard to shake the idea that women are only good if we are good mothers. 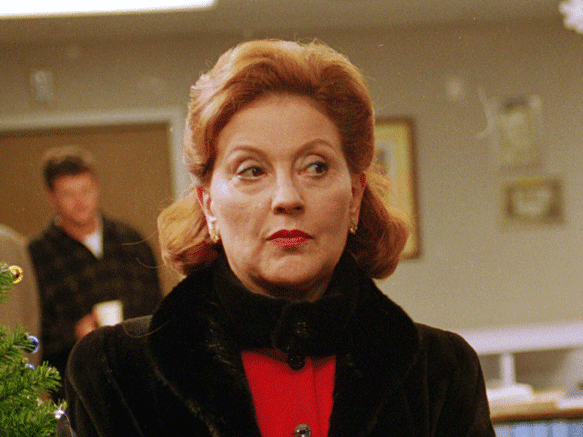 So, with all of that in mind, let's talk about Emily Gilmore, a fictional women who, glory of glories, managed to be both a bad mother and an interesting person, all without losing her genuine humanity. 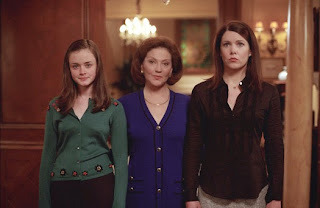 While much ink has been spilled over the years about Gilmore Girls and the unconventional relationship between mother and daughter Lorelai (Lauren Graham) and Rory (Alexis Bledel) Gilmore, the undiscovered country of the show is in the characterization of Emily Gilmore (Kelly Bishop), Lorelai's mother. 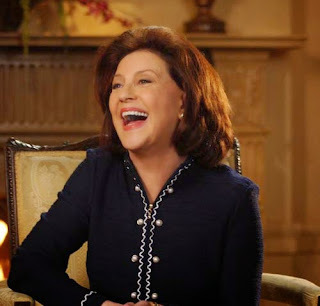 Emily Gilmore could have very easily been a caricature of a certain type of society matron, but she's saved from that fate by the excellent writing of Amy Shermer-Palladino and the fantastic acting of Kelly Bishop. An upper class woman concerned primarily with image and status, Emily's not a very nice person when we meet her in season one. She's angry and bitter and cutting and devious, the sort of woman you would back away from slowly at a party. A running joke is made out of her inability to keep a maid employed (because she keeps firing them for tiny infractions), but the reality is that Emily Gilmore is a deeply unpleasant woman to be around. The premise of the show actually makes it very clear that Lorelai has no real intention of pursuing a relationship with her mother. The first episode tells us that Lorelai hasn't spoken to her parents in fifteen years or so, having run away at sixteen, shortly after giving birth to her daughter. Lorelai has been living in isolation from her mother simply so that Emily could not control her life. The only reason she goes back to her parents is because her daughter, Rory, has been accepted to a prestigious private school, and Lorelai lacks the financial resources to pay the tuition. This in and of itself is a pretty stark statement about the level of their relationship. Lorelai will only speak to her mother when the only other alternative is letting down her own child. That's bad. It's also understandable. The show never lets Emily off the hook or tells us she was secretly an amazing mother. While it does make clear that Emily has always cared about Lorelai more than Lorelai perhaps realized, it also gives us lots of evidence that Emily was an awful parent. She was manipulative, controlling, overly critical, and tried to micromanage her daughter's every move. 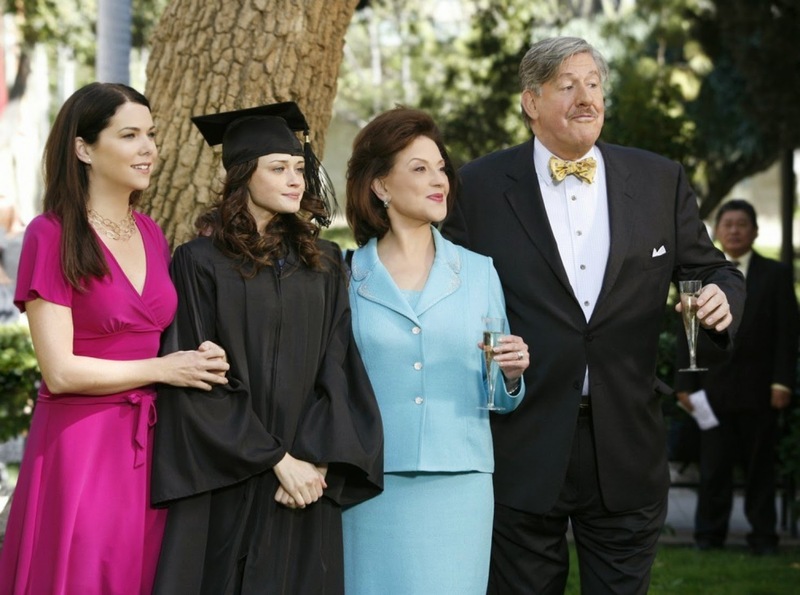 What makes Gilmore Girls a great show, though, is that it gives us Emily Gilmore in all of her flawed parental glory, and doesn't try to excuse or redeem it. Instead, it shows us a story where Lorelai and Emily come to appreciate each other for who they are. Emily doesn't magically become a better parent, but she does become more and more aware of how terrible a parent she is, and she starts to want to change. In other words, it's not so much that Emily Gilmore is a terrible mother that I like, it's that she's a terrible mother who realizes she is. And, upon realizing that she has no relationship with her daughter at all, seeks to fix that. It's not an easy road, and the show, to its credit, does not give Emily much slack. She has to work for that relationship. Lorelai does too. They're complicated women who have both scarred each other over the years, and there's no getting past that easily. But they both try. And in trying, we get a better picture of who they are as human beings. Like I said in the beginning, there's something so valuable in seeing a character like Emily who is, unequivocally, a bad mother also be a good person. Because she is a good person. Sometimes. Mostly. At the very least, she's a fully realized person. Emily Gilmore has all the faults and foibles that real people have. She has enemies and friends and flaws and spectacular good qualities. She yearns for a closer relationship with her husband but has no idea how to get it. She desperately wants to be a good mother, but utterly lacks the tools or understanding on how to relate to her child. She's complicated, and I love that. 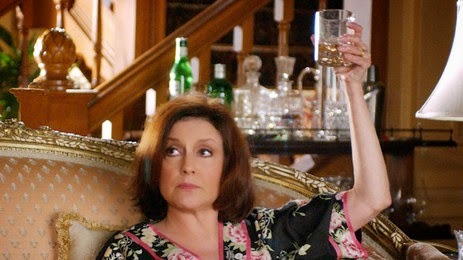 It is also worth mentioning, however, that our understanding of Emily Gilmore really does come down along class lines. While it's considerably less common to see a depiction of a white, upper class woman as a bad mother, it is more common to see women like Emily Gilmore given the benefit of the doubt, both by society and by the media. Still, that doesn't make the show any less valuable as a depiction of the complexities of motherhood. Just, you know, take it with a grain of salt. The main thing I want to get at here is simply this: women are not defined solely by our ability to parent. Some women are bad mothers. They just are. Whether because they are too proud to seek help or lack the emotional capacity or simply don't see how their choices are affecting their children, some women are bad at being parents. And that's important to admit. If we can't see that, then we can't understand women fully as people. But more than that, if we can't understand that a woman can be both a bad mother and still a valid, valuable human being, then we have no right to say that we understand the humanity of women. Characters like Emily Gilmore can help us see this, but ultimately it's up to us. We have to admit the complexity of the world around us if we want it to get any better. What I really enjoyed about that how, to a certain degree, the relationship between Lorelai and Emily begins to be reconciled through their joint love of Rory. Rory of course hasn't had to be brought up by Emily so doesn't have to get over that, and she has a slightly softer personality than Lorelai, who can be very obtuse anyway when she decides to be. Rory gets on with her mom, and in a totally different way she gets on with her grandmother (or at least has worked out ways of speaking to her that Emily understands better. Rory likes her grandparents, so Lorelai has more incentive to try and maintain civility between them for Rory's sake. Likewise Emily gets to see some of Lorelai's good qualities through the way she raises Rory and how close those two are. She sort of acts as a mediator between the two. Yes! I love the idea of generational healing, that we can be brought together by third parties sometimes. The scene where Rory takes Emily to the Potting Shed where they lived when she was growing up absolutely kills me. Emily's horror and yet her dawning appreciation for how incredibly strong her daughter is/was. Oh man. So many feelings.